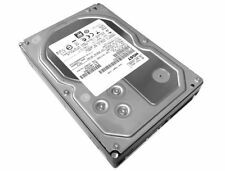 3TB HGST SAS 3.5" 7.2K 6Gbs 64MB SAS SERVER HARD DRIVE ULTRASTAR. Model Number: HTS545050A7E380 Z5K500-500. 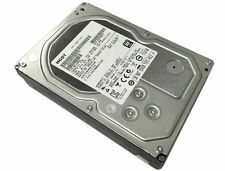 HGST 500GB 5400RPM 8MB Cache SATA 3.0Gb/s 2.5" Thin Hard Drive. 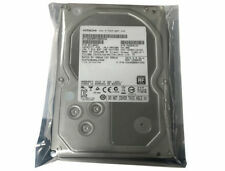 New, sealed, HGST 500GB 5400RPM 8MB Cache SATA 3.0Gb/s 2.5" 7mm Thin Hard Drive. Capacity: 12TB. Ultrastar He12. Spindle Speed: 7.2K RPM and Cache: 256MB. Cache 256MB. Interface: SATA 6Gb/s. Interface SATA 6.0Gb/s. UsageFor Enterprise Storage. Bare Drive. HUH721212ALE604 / 0F29597. Ultrastar DC HC520. SATA 6GB/s. Cables and Peripherals. Complete Systems. Add-On Cards. Graphics Cards - GPUs. Processors - CPU's. Trending at $73.50eBay determines this price through a machine learned model of the product's sale prices within the last 90 days. WD HGST 10TB Hard Drive 7200 RPM Ultrastar HUH721010ALE600 SATA 3.5" 0F27452. Capacity: 10TB for your data storage needs. SATA 6Gb/s interface optimizes burst performance. Spindle Speed: 7.2K RPM. Manufacture Recertified with Zero Hours Usage. Model Number HUH728080AL5200. Product Type Ultrastar He8. One-third more capacity and 23% lower energy consumption. That’s the power of helium. We recognize the growing pressures that data centers face. Model Number HUA723020ALA640. Storage Capacity 2TB. Interface SATA II (3.0Gb/s). Number of bad sectors is 25 or less Less than 25 bad sectors Pass. Erased (DoD 5220.22 M Compliant) and tested good (Not formatted, partitioned, or allocated). HGST Travelstar 7K1000 1000GB 1TB Internal 7200RPM 2.5 HDD 0J30553 SATA 6.0. 100% functional. Pulled from working laptop for ssd upgrade. See pictures for exact specifications. Free shipping! Thanks and please take a look at my other listings! The drive is clean, tested, and ready to use. Why does helium make a difference?. Helium has only one-seventh the density of air. Replacing air with helium inside a hard drive dramatically reduces the turbulence caused by the spinning disk, cuts power consumption and results in a lower temperature within the disk drive. HGTS HTS541010A9E680 1TB 5400 RPM NOV 2015 HGST HTS541010A9E680 1TB 5400 RPM 16 FEB 2013. 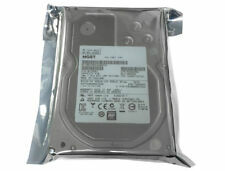 These HGST HTS541010A9E680 1TB 5400 RPM hard drives are good system pulls for various reasons such as upgrades etc. We also provide local Pick Up services. Key Functions are made up of primary and secondary functions. Upon inspection of the hard drive, I noticed minor scuffs and scratches that happen with normal use. The hard drive has been wiped to 3-Pass DoD spec and tested to be in working condition. HGST HUS724020ALA640 Ultrastar Enterprise 2TB 7.2K RPM SATA Enterprise 64MB Cache Hard Disk Drive. This item is in USED condition. The condition of the item has been disclosed with our best knowledge/abilities. Pair of Hitachi HGST 1TB Hard Drive SATA HTS721010A9E630 7200 RPM H2T10003272S . Condition is Used. Shipped with USPS Priority Mail. Both formatted ok.
2TB 7.2K 6Gb/s SAS 3.5" LFF. Silicon Valley Enterprise. " From Silicon Valley to Your Door Step. Lets make it happen! ". All security labels must be in place. MFG Part Number. Check photos for example of this type of product. .5" hard disc drive. Model HTS721010A9E630. Buffer size is 32 MB. No errors occurred while the entire disc was erased. We will always do what ever we can to make this a POSITIVE experience for both you and us. The manufacturer seals on the item must still be intact if the item was sold as new. HGST Ultrastar 7K4000 HUS724020ALS640 2TB 7200 RPM 64MB Cache SAS 6Gb/s AJ0194. Shipped with USPS Priority Mail. Seller refurbished. These were removed from a working server and verified as working. If you have any questions just ask. Thank you. HGST Travelstar. These drives have been fully tested and pulled from working machines. 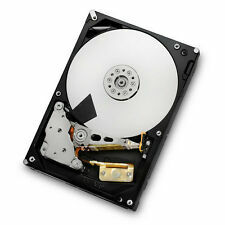 500GB 7200 RPM 32MB Cache SATA 6.0Gb/s 2.5" Internal Notebook Hard Drive. Cache 32 MB. Product Line Travelstar. Spindle Speed 7200 RPM. This hard drive is in good working condition. Fully tested and wiped. SKU#FRI-704. Model: HTS725032A7E630 0J43983. 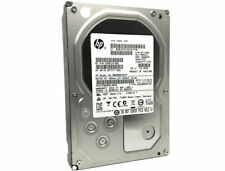 HGST 320GB Laptop Hard Drive. Size: 320GB. TESTED WORKING WITH DELL R610 R620 R630 R710 R720 730 SERVERS AND WINDOWS SERVER 2012 / 2012 R2 / 2016. (Many more models and OS's compatible) Best-Fit Applications • High-performance Tier 1 enterprise servers • Blade, rack and tower servers hosting transaction-based applications • Power- and space-constrained data centers • Compliance and data security initiatives 600GB 10K.6 SAS 64MB Cache 6 Gbps Serial Speed. Model: 0F12456. Manufacturer: HGST. Capacity: 3TB. Buffer: 64 MB. Type: Internal. Includes 1 Hard Drive. Spindle Speed: 7200 RPM. 431 N Wright Brothers Drive. For Dell Servers T710 R310 R410 R710 R720 R720XD R730 and lot more. Trending at $69.00eBay determines this price through a machine learned model of the product's sale prices within the last 90 days. 4TB capacity. 6Gb/s SATA interface. LIKE NEW! TESTED! TRUSTED SELLER! 90 DAY WARRANTY! Condition is Used. Drive was in good working order when replaced. All HGST hard drives are designed to the highest quality standards with field-proven components. Furthermore, Deskstar NAS hard drives incorporate a rotational vibration sensor and achieve reliability of 1M hours MTBF.